Welcome to Family Medicine Health Center’s (FMHC) Behavioral Health Services. We are pleased to provide the following services for our patients. Behavioral Health Consultation, psychiatric consultation, medication management, and psychotherapy are made available to patients within our clinics as a part of our patients’ overall healthcare. The purpose of behavioral health services is to offer patients help when habits, behaviors, stress, worry, or emotional concerns are interfering with their health, happiness and well-being. To schedule an appointment, you will need a referral from your doctor. There are typically behavioral health providers available at the time of your doctor visit. Let your doctor know if you would like to speak with someone. Yolanda Gaona is FMHC’s Behavioral Health Program Coordinator. She works very closely with all of the Behavioral Health Providers. She also works closely with our patients to make sure all of their behavioral health needs are met by managing the referral processes, scheduling appointments, and verifying insurances. Yolanda enjoys working in a teaching environment and learning right along with FMHC’s resident providers. Medical research suggests many health conditions, such as diabetes, COPD and heart disease are caused in part by behavioral factors. These diseases can be difficult to manage. Our behavioral health consultants (BHCs) can provide tools to help reduce symptoms and help patients cope better with headaches, fibromyalgia, diabetes, asthma, COPD, hypertension, and irritable bowel syndrome. BHC’s can help develop plans for changing behaviors such as quitting smoking, losing weight, stopping or cutting down on alcohol, increasing exercise or other lifestyle changes. BHC’s can also help with emotional or behavioral problems such as family or relationship difficulties, parenting concerns, excess stress, sleep problems, loss and grief, depression, anxiety, or anger problems. FMHC BHCs offer individual, family, and couples counseling for our patients. We can treat many conditions, including depression, bipolar disorder, anxiety disorders, behavioral problems in children, stress management and grief. Visits typically last 45 minutes to 1 hour. Our Psychiatry providers can provide both initial evaluations as well as ongoing medication management for patients with depression, bipolar disorder, anxiety disorders, as well as other psychiatric conditions. The first visit lasts 60-90 minutes, with follow up visits lasting 30 minutes. Registered dietitians (also called registered dietitian nutritionists) offer nutrition counseling to individuals and families as part of the medical care team at FMHC. Dietitians are experts in food and nutrition and can help people toward the best way to eat for diabetes, high blood pressure, high cholesterol, excess weight or low weight, food allergies and other nutrition-related conditions. Healthy eating can also help prevent chronic diseases, which is an important part of primary care. Dietitians work with families to create positive family mealtimes, learn strategies for picky eating and create plans to address weight concerns in kids. Ask your provider or nurse how to meet with a dietitian at the clinic. Learn more about registered dietitians at EatRight.org. Dr. Winslow Gerrish is the Director of Behavioral Sciences, Research and Grants at FMRI. He received his Ph.D. in clinical psychology from Seattle Pacific University and completed an internship at the VA medical center in Portland, Oregon. Before coming to FMRI, he acted as director of the PTSD clinic at the Boise VAMC and served as faculty in their Center of Excellence in Primary Care Education. Dr. Gerrish grew up the son of a rural, full-spectrum, family doc in a small dairy town in Washington State. This upbringing laid the foundation of his life-long passion for family medicine and caring for the underserved. 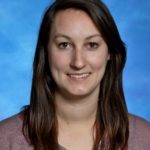 Dr. Gerrish is a Clinical Assistant Professor of the University of Washington and has been involved in primary care education with multiple University of Washington and WWAMI residency programs in Boise and Seattle. His special interests include PCMH transformation, interprofessional education, and behavioral health integration in primary care. His recent publications include a new book, Interprofessional Education in the Patient-Centered Medical Home. Dr. Gerrish is an avid climber and skier. When not at work, you will find him with his wife (also a family physician) and children trying to get lost in the mountains while engaged in some type of crazy outdoor adventure. Dr. Martin became part of the FMRI family in 2015 as the Associate Director of Behavioral Sciences. She received her PsyD in clinical psychology from Florida Institute of Technology and completed her internship at Brooke Army Medical Center in San Antonio. She completed her fellowship in health psychology in primary care at Michigan State University where she met her husband, Derek. Their son, Cameron, loves swimming, flag football and baseball. After 9 years of teaching behavioral medicine in a large, urban setting, Susan came to Boise (“the Best place to raise a family”) to pursue teaching residents in the rural setting. Susan’s special areas of interest include integrated care, medical education and health psychology in primary care. Outside of work, the family spends time hiking, biking, kayaking, camping, and cooking meals together. Tom is a licensed clinical social worker. He provides psychotherapy and counseling to adults, couples, and adolescents. He has extensive training in Adlerian Psychology. He is trained in EMDR and uses a variety of distress reduction techniques including mindfulness and Dialectical Behavior Therapy (DBT) skills. Graduated from University of Washington with a Master’s degree in Social Work in 1991. Worked as a medical social worker at Idaho Elks Rehabilitation Hospital (IERH) from 1998 to 2002. Experience at IERH included chronic pain, brain injury, and other neurological issues. Completed BA in Spanish from Boise State University in 2006. Came to work at Family Medicine Residency in 2002. Interests outside of work include her husband and 17 year old son, travel, language study, reading and Nordic skiing. Brooke Herzog is a clinical social worker. She has extensive experience working with families, children, and teens in a variety of settings ranging from outpatient agencies and in-home environments to leading group therapy in academic settings. Brooke provides individual counseling services for children and adults who are struggling to reach their potential because of anxiety, trauma, emotional dysregulation, attention problems, and/or social cognitive challenges. 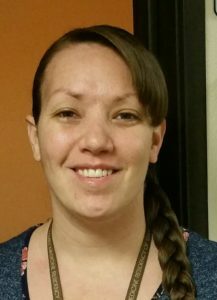 She received her Master’s degree at Boise State University and training in medical social work in 2013. Brooke utilizes cognitive behavioral interventions along with mindfulness, expressive therapies (drama, art, and movement), solution-focused, and interpersonal approaches when working with clients. 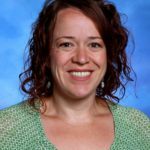 Throughout the years, she has also developed proficiency in teaching parents, children, and families about self-regulation. She has co-authored research articles in the field and is grateful to be able to live out her passion for helping others. Outside of work, Brooke enjoys spending time with family, cooking for friends, skiing, and playing music with her talented husband. Brandi is an LCSW who graduated with her Master’s degree in Social Work in 2015. She joined FMRI in 2018. She has experience working in primary care settings and is passionate about working in a medical setting because it allows her to work with clients of all ages to help them meet their physical, emotional and mental health needs so they can experience a fulfilling life. Her approaches to therapy include Solution-Focused Therapy, Acceptance and Commitment Therapy, Cognitive-Behavioral Therapy and helping clients implement mindfulness techniques into their daily lives. In her free time she enjoys visiting local restaurants, cooking, reading and spending time with family and friends. Susie Johnson is a clinical supervisor and psychotherapist. Ms. Johnson brings a broad wealth of experience having practiced in various settings including residential care, addictions treatment, juvenile justice, children’s mental health, administrative policy, medical, clinical, national volunteer service through AmeriCorps, recreation therapy and wilderness adventure based work. Ms. Johnson graduated from Northwest Nazarene University in 2003 earning a Master of Social Work. She has been providing psychotherapy and behavioral health consultation and training at the Family Medicine Residency since 2008. Ms. Johnson has been a student of Adlerian Psychology since 1998 and incorporates Adlerian concepts into her work. She has served as Idaho Society of Individual Psychology board president. India received her doctorate in Clinical Psychology with a focus in Health Psychology from Pacific University in 2014. 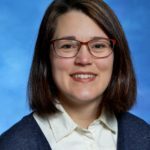 She completed her doctoral internship at the White River Junction VA in Vermont and her postdoctoral fellowship at the Boise VA, with a focus on integrated primary care at the Center of Excellence in Primary Care Education (CoEPCE). Dr. King’s passions are graduate medical education and interprofessional education and have been a core component of many of her roles. Dr. King’s clinical and research interests include primary care psychology, chronic disease management, interprofessional teaching, shared-decision making and motivational interviewing. You can find Dr. King primarily at the Nampa Clinic for services! When Dr. King is not hard at work serving FMRI patients and our respective community and involved in teaching residents, you can find her enjoying the outdoors on her mountain bike! Heather Moon was born and raised in Idaho. She obtained her bachelors and masters degree in social work at Boise State University. Her hobbies include; working out, running, weight lifting, trekking trails, mountain biking, traveling, singing and attending concerts. Heather also has a passion for continued education, nature, dream analysis, forklift driving, music, finding and creating meaning in life and spending time with friends and family. Heather has been providing mental health support to clients since 2007 and received her clinical endorsement in 2011. Heather enjoys working with clients with a wide variety of mental health needs and focuses the therapy based upon the individual need of the client and with emphasis on the importance of the therapeutic relationship. Techniques used vary from: solution focused therapies, to cognitive behavioral therapy, to Jungian inspired approaches. Heather’s passion is helping people find ways that work for them to enhance their quality of life. Kelsey is a registered dietitian and has been with FMRI since 2013. She holds a Bachelors in Nutrition from Cal Poly, San Luis Obispo and completed her Dietetic Internship at Idaho State University. She has specialized training in health coaching and works with individuals and families to find a personalized eating and activity plan that supports good health. Special interests include diabetes and hypertension nutrition counseling, positive feeding strategies for kids, meal planning, and supporting people with food insecurity. Nutrition information can be confusing and Kelsey helps people through their questions about food and eating. Interests outside of work include biking, dog walking, camping, and of course cooking and eating delicious meals with friends and family. Dr. Shackelford is the clinic site supervisor for the psychiatry residents from the University of Washington. In addition to supervising their care, he also has particular interest in collaborating psychiatric and medical care with patient’s primary care physicians and therapists, aiming to promote social, psychological and physical health and well-being. Wavey is a Clinical Social Worker who joined FMRI in 2016. She was born and raised in Idaho and obtained her Bachelor’s in Theater from University of Montana and Masters of Social Work at Boise State University in 2010. Prior to becoming part of FMRI, she provided individual, family, and group counseling in an outpatient setting. She specializes in expressive therapies with the use of movement, drama, and art as the primary tools for healing. She also incorporates Cognitive Behavioral Therapy, Cognitive Processing Therapy, Mindfulness, Narrative Therapy, Dialectical Behavioral Therapy, Non-directive Play Therapy to treat trauma, Post Traumatic Stress, Depression, Anxiety, and Attachment Issues. As well as, Child-Parent Psychotherapy with children and their parents ages 0-5. Wavey also has a background in performing, creating, and teaching movement and theater skills to children and adults. Away from work, she enjoys dancing, relaxing, and enjoying the outdoors with her two young children and husband. Megan graduated from Northwest Nazarene University with a Master’s Degree in Social Work in 2014. From there she worked as a Substance Abuse Counselor until obtaining her Clinical Certificate as a Licensed Clinical Social Worker. Megan has worn many hats in her profession, from providing Behavioral Therapy to children with Autism, Substance Abuse Counseling to adults, and Mental Health Counseling to persons across the life span. She has a passion to help others learn about themselves and grow. She utilizes a client-centered, strengths-based approach in order to help her patients meet their identified goals. 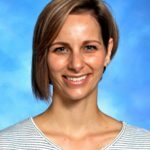 Megan’s techniques include Cognitive Behavioral Therapy and Solution Focused Therapy to help those across the life-span manage anxiety, depression, and stress. Outside of work, Megan enjoys spending time with her husband, son, and their faithful canine companion. They love hiking, skiing, traveling, and spending time with family. Services, including specialty care services, are covered for sliding fee patients. FMHC offers a sliding fee discount program to eligible persons based on the patient’s ability to pay. Ability to pay is determined by the household size and annual income relative to a discount schedule based on federal poverty income guidelines.